We have all become increasingly aware of how much what eat, what we put in our bodies, matter for our overall health the last few years. But what about what we put on our skin? Or largest – and very porous – organ? Did you ever stop to think that everything you rub into your skin, from cleanser to moisturizer to primer and perfume, serums and sun creams, it all also ends up inside you? 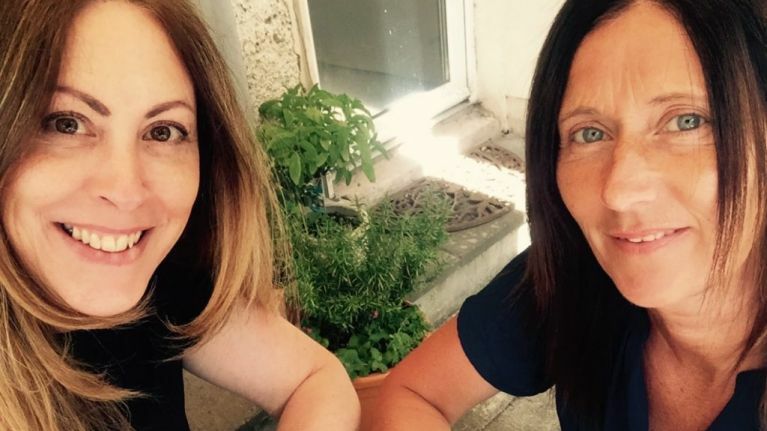 These thoughts were exactly what prompted mums and friends Caitriona and Emer to set up ANU – an Irish skincare brand with only natural ingredients, essential oils and Irish Moss seaweed. How did ANU come about? 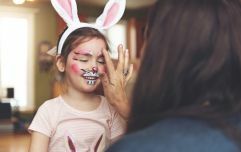 When you have small children, you become more aware of what’s going into their bath or on their skin or hair, and we both began to really take stock of the amount of chemicals coming into our homes in everyday products. Caitriona began making her own soap and Emer has always foraged and been fascinated with what nature gives us for free. Then Caitriona discovered the magic that is Carrageen Irish Moss (her sister lives on the Aran Islands and islanders harvest their own Irish Moss and have been using it for centuries, for everything from curing a cough to healing skin) so the next step was to incorporate it into her soap. That’s when Emer noticed her sensitive psoriasis prone skin began to improve. Caitriona began to make other skincare products and Emer kept insisting that she tell the world. ANU was born and the rest, as they say, is history! The name? We chose ANU after the Earth Mother goddess Anu from the Celtic Tribe the Thuath De Danann. They're so boxum, don't you think? Lavender-Lemon, Fragrance Free, Tea tree-Peppermint & Berry-Mint...altogether beautiful in this (alternate Easter) gift box. Totally natural, long lasting and beautifully moisturising. In @kidstoredublin and online now. Yes, especially since Emer was having so many problems with her skin and developing allergies, which prohibited her from using most of her regular skincare products. We only use our own products now, which include moisturiser, cleansing balm and a truly magical night balm. At first, this was supposed to be a part time business, but it very quickly got legs and started running. We’ve managed so far with our own resources and through the advice and kindness of some mentors along the way. We’ve both run businesses before (Caitriona ran a group of restaurants in Fire Island and Emer opened her drama school in 1990) but the world is a very different place now and we had a lot of learning to do. So, time, study, trial and error, networking and listening has helped and ANU continues to grow. Packaging! Without investment it’s impossible to scale up so we haven’t been able to source lower volume packaging easily; ANU has undergone a few makeovers as the business has grown – if we only knew then what we know now! Emer also had to quickly immerse herself into the world of social media marketing, which was certainly a bit of a challenge, but it’s fun now. Last year we joined a collective of businesses and opened a shop in Powerscourt Townhouse called KID. Apart from making new friends through the partnership, a year in retail taught us many valuable lessons. It’s definitely easier to sell online when you have sold in a bricks and mortar shop. Plus, we love compliments and every time someone tells us they love our products, that’s always a highlight! Smile: it's Friday & the sun is shining! ? Have a great weekend, goddesses ? photo @fabulosom ? Is it hard balancing motherhood with running a business? Neither of us have a very young family anymore – although we have worked through those years and I don’t know how we managed. Yes, it is hard, but when you’re driven and more importantly, excited by your own product, the workload doesn’t seem so bad. 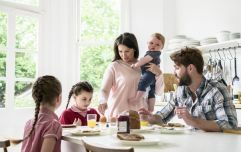 Emer does sometimes get chastised by her teenage daughters for posting on Facebook from her phone at the dinner table, but we both try to switch off in the evenings and have time for family. Do you think consumers are becoming more aware of using healthy beauty products? There is certainly a growing awareness and we find that people choose us because of skin concerns for themselves or their children. I think people are getting more and more allergies from the build up of chemicals in everyday use. It’s not that parabens are so terribly bad, it’s that they are in everything, so the build up of that is what damages. Just like you might make the choice to eat less processed food, I believe people are making the choice to use simpler, safer products on their skin. Any advice for someone who is dreaming of starting their own business? Follow that dream! Educate yourself from the outset on marketing and business. If you’re still in the dreaming stage, take a course in whatever your weakness is. But there is so much free information online, so there’s no excuse. Join groups – again, so many helpful groups on Facebook like Bite the Biscuit, but it’s also good to get out and network. Listen to the experts and learn from them, but also go with your gut – there comes a point when you know best. Confidence in your product and yourself is what you should be aiming at. Know your worth and don’t be afraid of pricing! Oh – and try not to start a business that involves packaging!